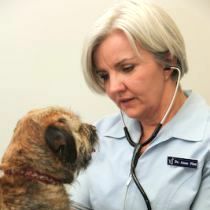 We maintain a well stocked range of Veterinary Pharmaceuticals on site which enables us to get your pet back to full health quickly. We also employ the services of a Compounding Pharmacist that is able to prepare selected medications into a form that enables easier administration. Owners requiring repeat prescription medications are advised to call ahead so we can prepare the medication and have it waiting to avoid delays. Pets on long term medication require regular examinations, at least 6 monthly by law, to ensure the medication is still indicated & that they are free of potential side effects.